In a former life I worked in a big multinational organisation, with colleagues from Europe, America and Australia. We got on very well and felt that we were an efficient and effective strategic planning team. On one occasion however, as we sat fervently agreeing with each other about the way forward, an American colleague raised his hand, “Hold on there,” he said, “I think we may be getting on the bus to Abilene.” The Europeans and Australians among us looked at him nonplussed. What on earth did he mean? The idea actually comes from an article by Jerry B. Harvey, in a 1974 edition of ‘Organizational Dynamics’, titled “The Abilene Paradox: The Management of Agreement”. For me it carries two powerful lessons. The first is the danger that teams become isolated from external influence and the second is that teams come to value social harmony over productive challenge. Social Network Analysis (SNA), which I wrote about in our June 2015 blog, highlights the advantages, but also the pitfalls of strong team bonds. Strong bonds amongst team members, stemming from trust and camaraderie, are great at making productive teams. Information is shared and teams work together toward shared goals. The downside is that such groups can become echo chambers, recirculating the same ideas and rejecting outside information and opinion unless it coincides with their own beliefs. He result is conformity and a lack of innovation. They are doing things right, but not doing the right things. The second danger is that people withhold contradictory information and fail to challenge the team out of a misguided sense of loyalty. They consent to do something, despite having misgivings, in order to be seen as a ‘team player’ and to avoid conflict. At worst, it is laziness and cowardice, at best it is a sign that the team is too polite. In Tuckman’s parlance, they are avoiding the unpleasant, but necessary, phase of ‘storming’. 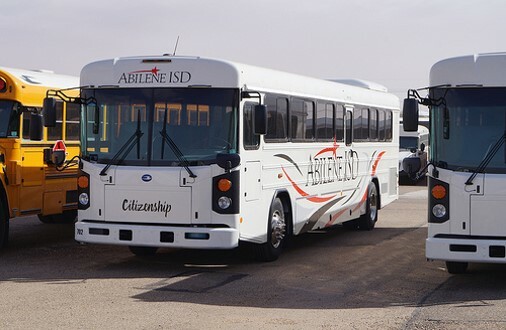 So how can team members and leaders avoid getting on the bus to Abilene? Internally, the team should be made aware of the causes and consequences of what Irving Janis described as ‘Groupthink’, and the leader should encourage an atmosphere of open inquiry, giving a fair hearing to objections and doubts, perhaps by assigning the role of devil’s advocate to a strong member of the group. Externally, the team should not lose sight of their external environment. Tentative decisions should be discussed with trusted colleagues not in the decision-making group and outside experts should be consulted for their views.